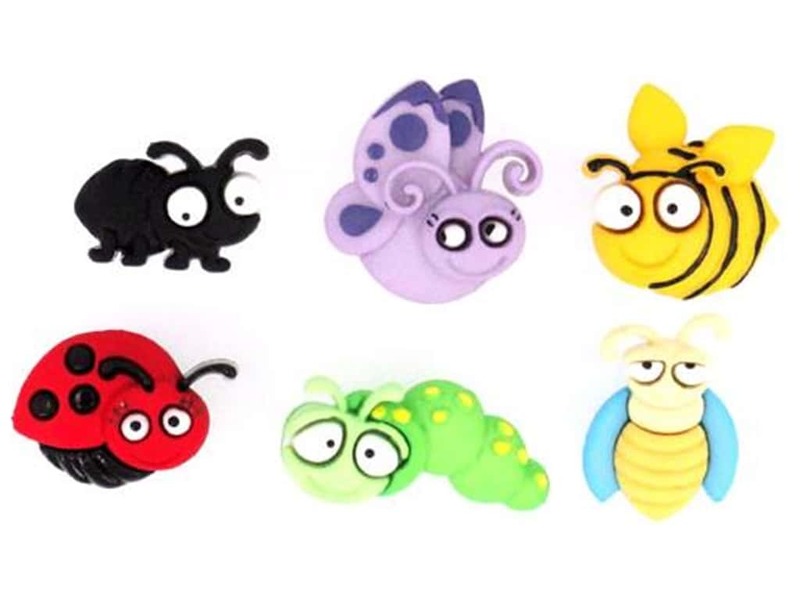 Description: Dress It Up Embellishments Bug Eyed includes bugs with eyes that stand-out include one each ladybug, butterfly, bee, caterpillar, ant and fly in shades of Red, Yellow, Blue, Green and Black. Each has a shank on the back. Jesse James Embellishments are great to add to clothing apparel, home decor projects, paper crafts and more. Great to use at home, school, church or camp. Contents of each package are subject to change and may not always be exactly as pictured. Size is approximately 3/4 inch. 6 pc. Jesse James Embellishments Bug Eyed -- CreateForLess 5.00 out of 5 based on 3 ratings. 3 user reviews.